In an industry like Hollywood which has been in existence for several decades, a revolving door of actors and actresses is necessary for keeping it in existence. Every decade, an influx of new and young actors join the industry to carry on its existence until they are old enough to pass the torch to another set of young actors. In 2008, Alisha Wainwright became one of the newest set of actors in the industry when she appeared in the short film, Murder on Her Mind. Since she became a part of the complicated glamour machine that is Hollywood, she has appeared in several onscreen projects, most of which are television shows. She has been making a name for herself through TV shows like Shadowhunters, Rosewood and Lethal Weapon. Learn about the career and celebrity facts of one of Hollywood’s bright stars below. Alisha Wainwright is a rising name in Hollywood and as such, there is still a limited amount of information about the actress. So far, we have been able to gather that she was born Alisha Ena Wainwright on the 14th of July, 1989. There is no information regarding her parents but we know she was born in Florida. Other relevant information we have been able to gather about her background includes the fact that she grew up with step-siblings. As for her academic pursuits, it is quite certain that she graduated high school but the details are also unknown at this time. As for College, there is no information regarding that either but considering that she made her onscreen debut at the age of 19 and did not make another appearance until 2012, there is a chance the gap in her filmography was down to her time in college. Ethnically, Alisha, with her curly black afro hair, appears to be a mixture of African American and Latino origins, but like most background information about her, there is no confirmation of this either. When you are a newly minted actress, building a reputation for yourself through starring in significant projects or making a character your own is one of the quickest ways to become notable. 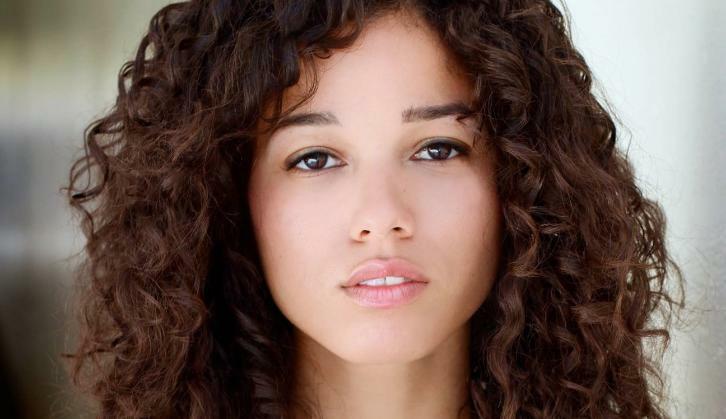 So far, Alisha Wainwright has been able to achieve the latter through her work on Shadownhunters: The Mortal Instruments, which she began starring in sometime in 2017. Before she got to the position of playing a significant role in the Freeform show, however, Alisha Wainwright has appeared in several movies and TV shows in a minor capacity. She began her career in the industry by appearing in the short film, Murder on Her Mind in 2008. Alisha did not appear onscreen again until 2012 when she starred in the web series, Smosh. In the following years, she had another solitary appearance in another short film, Second Rate Deal as the character, Nikki. Finally, in 2014, her career began to take off as she starred in five different projects in the year, beginning with an appearance in an episode of Criminal Minds and her first feature film appearance in Just Before I Go as the character, Sarah. She got her first recurring role in a television show in Perception, starring as Chantal Douglas and a nameless character between 2014 and 2015. In the following year, 2015, the trend continued for Alisha Wainwright. She added six credits to her name, including recurring roles in Major Crimes, the soap opera, General Hospital, and the Disney program, Disney Star Darlings as Leona. Having featured in a television movie made in 2015 about the Making of Shadowhunters, she began starring in the full television series in 2017 as Maia Roberts and has appeared in over 30 episodes as one of the major characters of the series. Outside of TV shows and Movies, Alisha Wainwright has appeared in a commercial for Toyota and has lent her voice to an NBA 2K17 character, Alanah Turner. Alisha Wainwright at the moment appears to be focusing on her career with no relationship or marriage in sight. 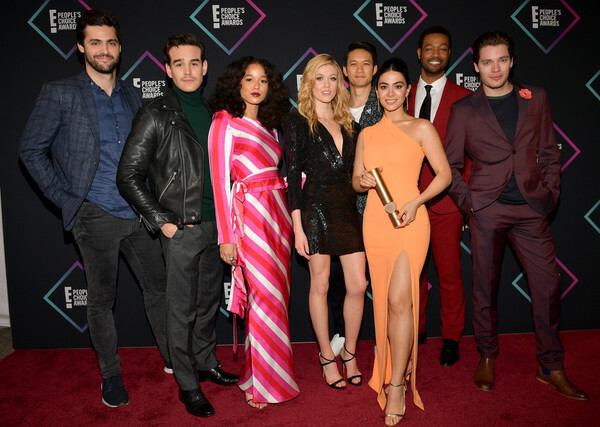 The Shadowhunters actress has not been linked to any boyfriend or personality since she hit the limelight as an actress. She does, however, maintain a social media presence that has made her accessible to her fans and fans of the show she’s most popular on. Having appeared in over 20 film and television shows since she made her debut in 2008, Alisha Wainwright has been able to accrue a substantial net worth of $1.2 million. Her growing net worth has been due to her role as Maia Roberts in Shadowhunters: The Mortal Instruments where she has been starring as a main character since 2017. Other significant projects include a 10-episode appearance in Disney Star Darlings as Leona. She is 5 feet 10 inches tall. The actress has a body measurement of 34, 24 and 34 inches measuring her bust, waist, and hips respectively. She has dark brown eyes and black curly hair.